Stelmet Zielona Gora registered its second win in Group C by downing already-qualified Lokomotiv Kuban Krasnodar 51-66 on the road on Friday. 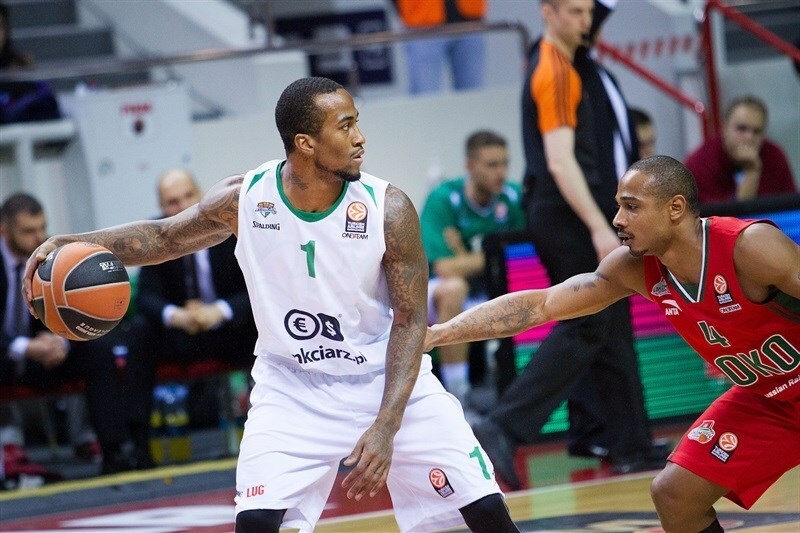 Zielona Gora improved to 2-6 and kept its chances to make it to the Top 16 alive, while Lokomotiv dropped to 6-2. 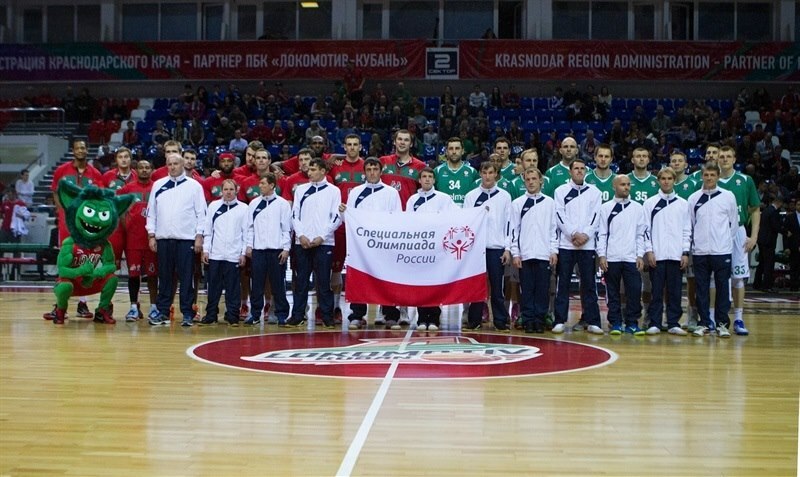 Mateusz Ponitka, Dee Bost and Dejan Borovnjak led the winners with 11 points apiece. Ponitka also added 11 rebounds for a double-double. Prmemyslaw Zamojski had 10 points for Zielona Gora. 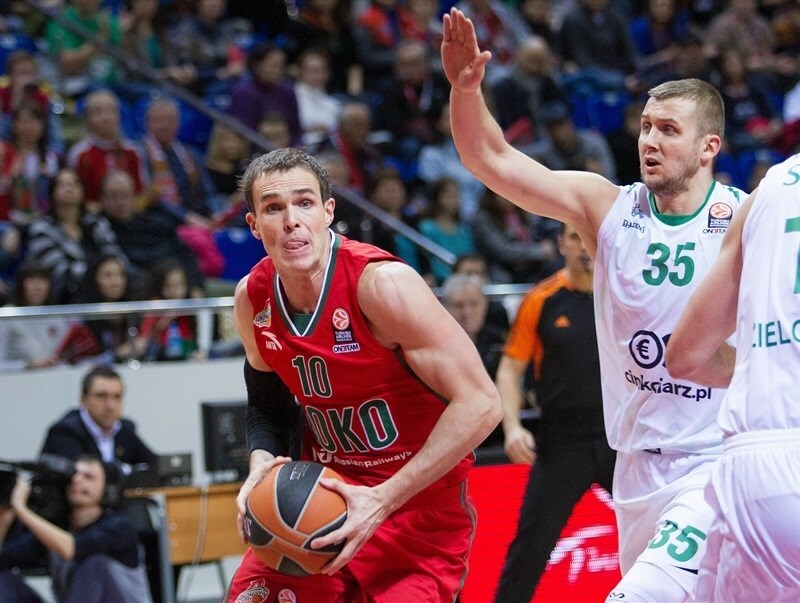 Chris Singleton led Lokomotiv with 11 points and Victor Claver added 10 for the hosts, who were outrebounded 29-37 and made just 3 of 22 shots from downtown. Zamojski took over early and got help from Borovnjak and Szymon Szewczyk to give Zielona Gora a 13-24 lead after 10 minutes. Zielona Gora boosted its margin to 27-40 at halftime and then to 29-49 on a three-point shot by Szewczyk. 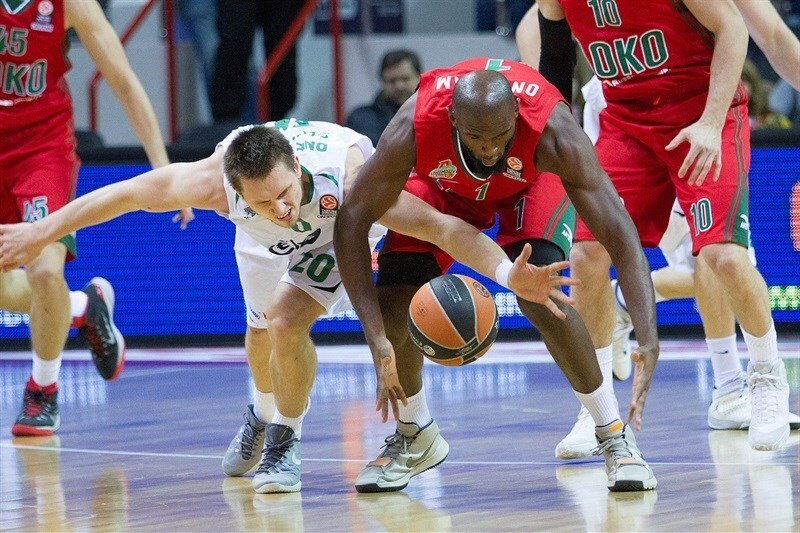 Lokomotiv tried to return to the game, but Zielona Gora kept full control of the game until the final buzzer. Borovnjak got Zielona Gora going with free throws and Zamojski matched Claver's reverse layup with a six-meter jumper. Malcolm Delaney fed Anthony Randolph for an alley-oop slam that tied it. 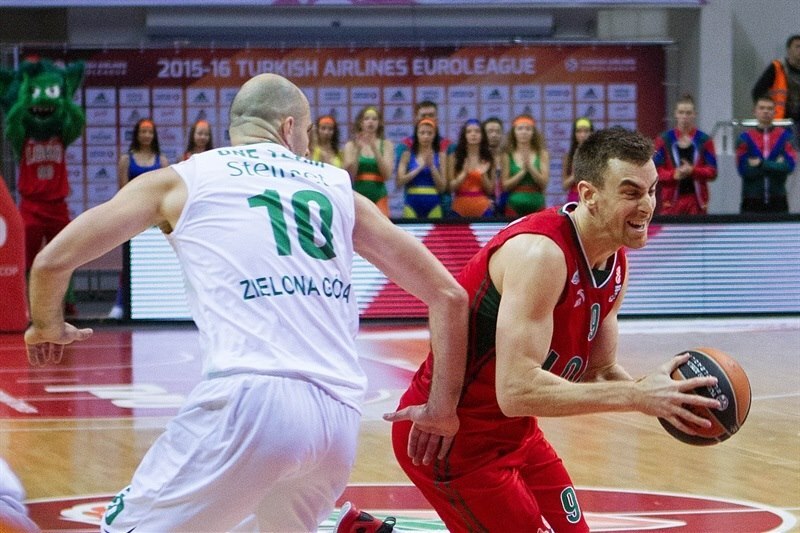 Nemanja Djurisic and Claver scored down low and a layup by Borovnjak put Zielona Gora back ahead, 6-8. After Lukasz Koszarek sank a mid-range jumper, Delaney made free throws, but a jump hook by Borovnjak set an 8-12 Zielona Gora edge. 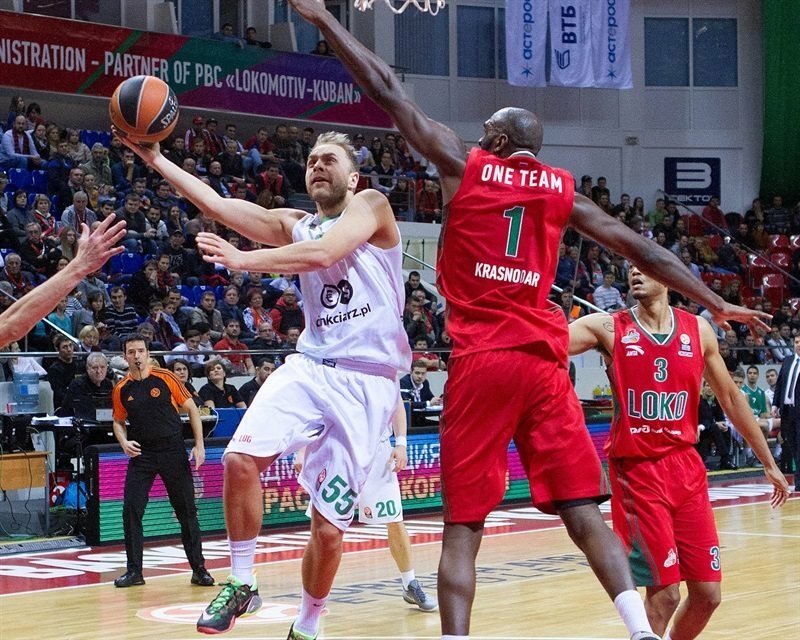 Lokomotiv kept missing three-point shots (0 of 6 in the opening five minutes), while Zamojski and Djurisic struck from downtown to give the guests a double-digit lead, 8-18. Randolph shined with a layup-plus-foul and Singleton added a jumper to get the crowd involved at 13-18. Mateusz Ponitka buried a three-pointer and Szewczyk also nailed one from beyond the arc to give Zielona Gora a 13-24 margin after 10 minutes. 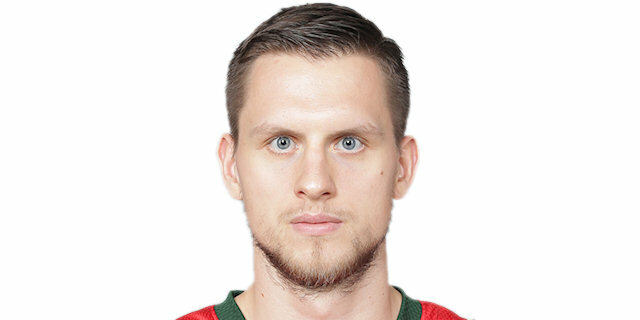 Andrey Zubkov buried a three-pointer - Lokomotiv's first of the game after 7 attempts - early in the quarter. A driving layup by Serget Bykov prompted Zielona Gora to call timeout at 18-24. Bost found Adam Hrycaniuk for a backdoor layup and banked in a circus shot from downtown to restore a double-digit advantage. Zamojski kept pushing Zielona Gora with another triple and Hrycaniuk added a reverse layup that capped a 0-10 run. 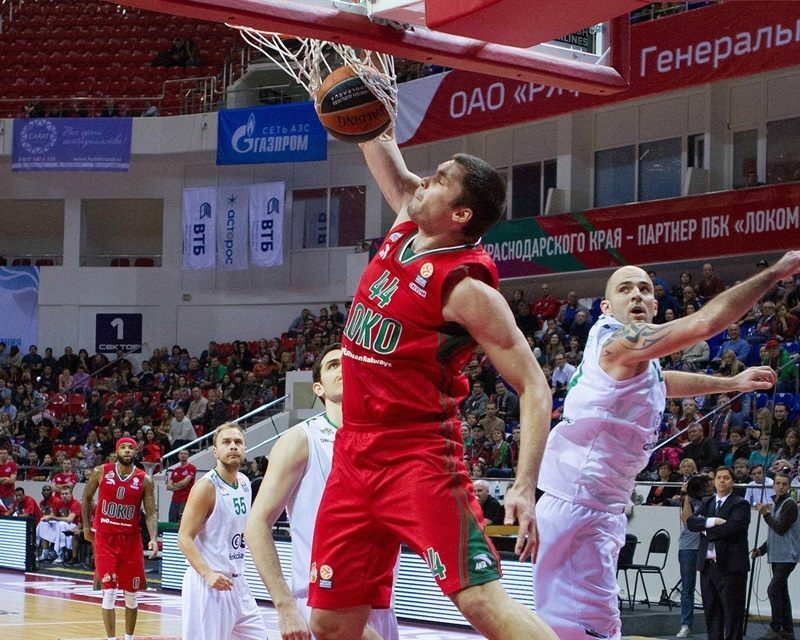 After Bykov made free throws, Zamojski shined with a driving layup. 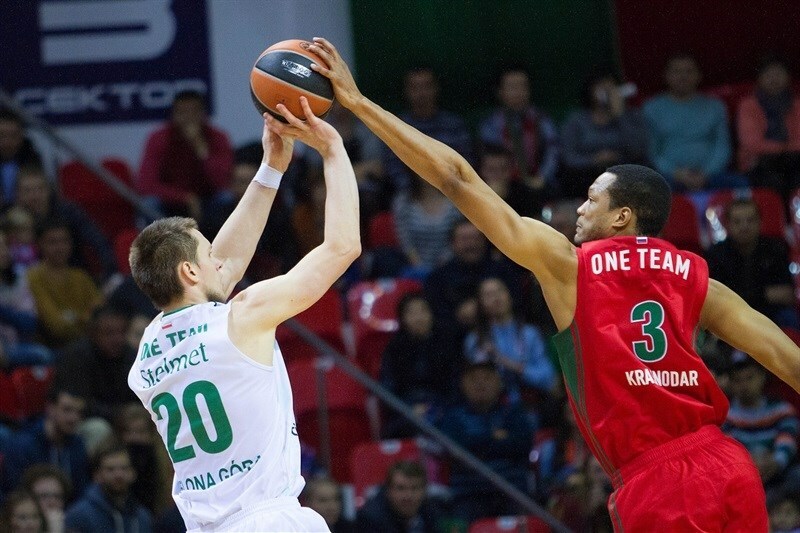 A three-point play by Singleton brought Lokomotiv within 23-36. Bost downed a mid-range jumper in transition, which Singleton matched with foul shots. Szewczyk split free throws, and even though Randolph tried to change things with a turnaround jumper, it only brought the hosts within 27-40 at halftime. Borovnjak buried a mid-range jumper right after the break and banked in another one to boost the lead to 27-44. 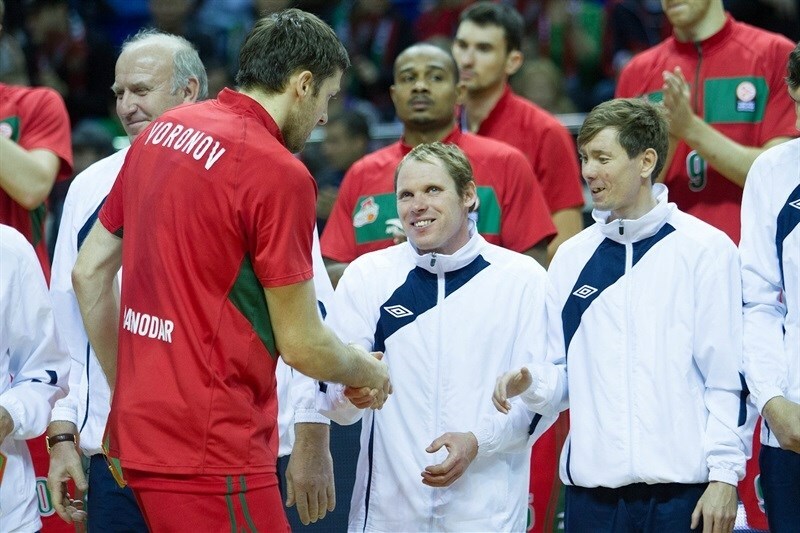 Lokomotiv was held scoreless for more than two minutes and kept missing open shots from downtown. Meanwhile, Ponitka made free throws for a 19-point Zielona Gora advantage. Kyrylo Fesenko dunked, but Szewczyk buried his second triple. A tip-in followed by a slam by Claver resulted in a Zielona Gora timeout at 33-49. 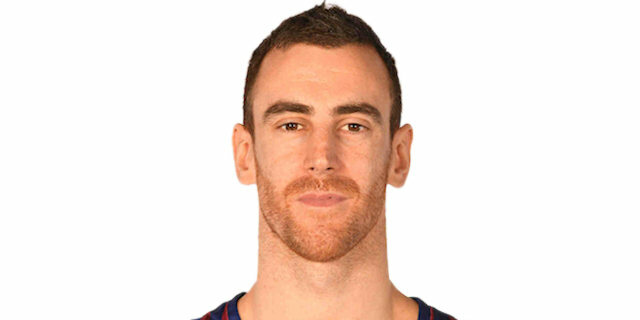 After Borovnjak split free throws, Claver scored again and a free throw by Singleton gave the hosts hope at 36-50. 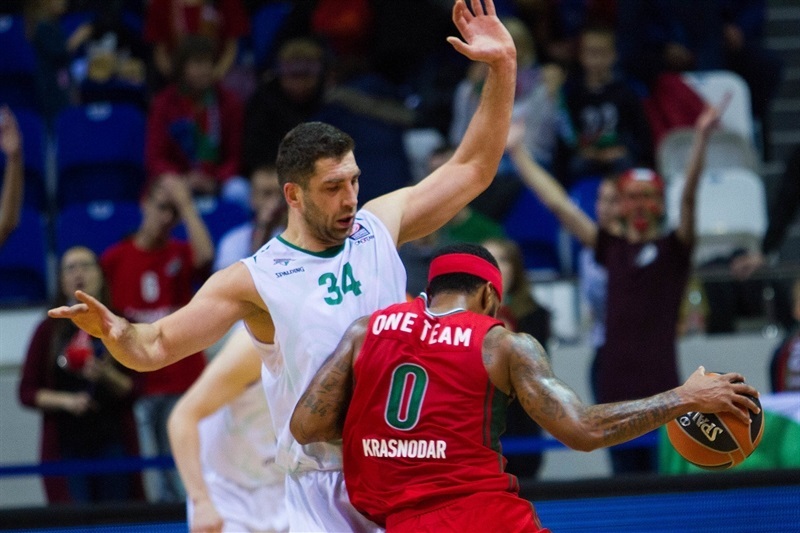 Lokomotiv tried to rush its offense, while Zielona Gora started to run the game clock down. Boost shined with a driving layup, which Dontaye Draper erased with a mid-range, step-back jumper that made it 38-52 at the end of the quarter. Both teams struggled to score early in the fourth until Karol Gruszecki hit free throws. Another driving layup by Bost made it an 18-point game. Draper buried a three-pointer, but Bost quickly answered with a six-meter jumper. Delaney made free throws and a five-meter jumper by Singleton brought the hosts within 45-58 with four minutes to go. A dunk by Ponitka seemed to seal the outcome right after that. Delaney struck from downtown, but everything was said and done already as Zielona Gora rejoined the race to reach the Top 16. 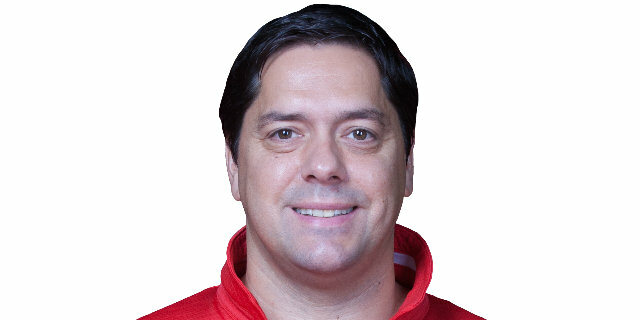 "I congratulate my team for this win. We played good on defense and controlled the game, though we had to fight through injuries. Djurisic broke his nose and couldn’t help us. In the second half we didn’t know what to play, and just kept fighting. The 26 points we scored in the second half is not a good result, still this win is our prize for working and playing hard. We played good against great teams this season, but we lost many close games. This time we won against a great team and it feels good. 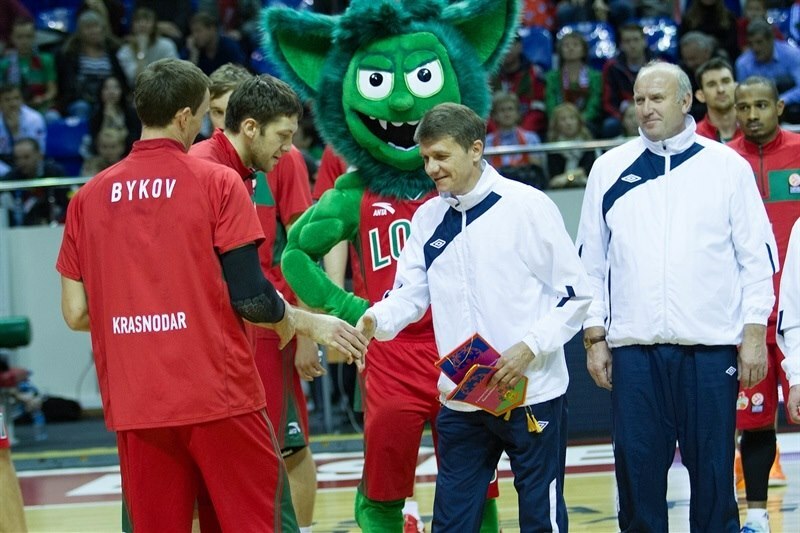 I’d like to say that Lokomotiv is an unbelievable team and Coach Bartzokas is an example for all of us coaches all over Europe. I’m deeply sorry he lost his father and wish him best of luck in the season. " "It was a bad day for us. From the beginning we couldn't find our rhythm and allowed the opponent easy points. They scored a lot in the first two quarters. We fought harder in the third, but couldn't find our shot and they still played as they wanted. We need to forget about it as fast as possible and get ready for the next game." "Our message is straight. From the beginning of the league, we have played pretty good basketball. We are a little bit underrated, but we can play basketball. We are going to do everything we can to win some more games. We came here after a tough schedule in the last two weeks, travelling all the time. We were really motivated to play a great game and play together, as a team. That was our goal, because we also came without two players. It was a really tough game for us."